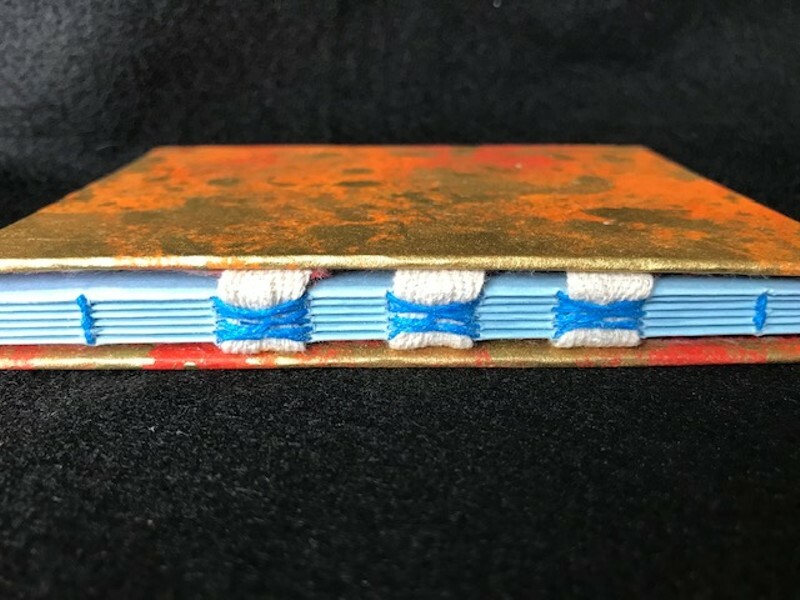 This beautiful exposed binding uses a sewing technique that stitches over ribbons, which are attached to a hard cover. The added benefit of the ribbon is more structure and durability. Students finished books will lie flat and double over themselves, making them perfect for journals and drawing. The French Link Stitch is traditionally hidden within a cover, but in this class, we will play with showcasing the binding with color and texture. Each participant will leave class with their own French Tape book made from upcycled materials. Ages 16 and up, with paid adult accompaniment.